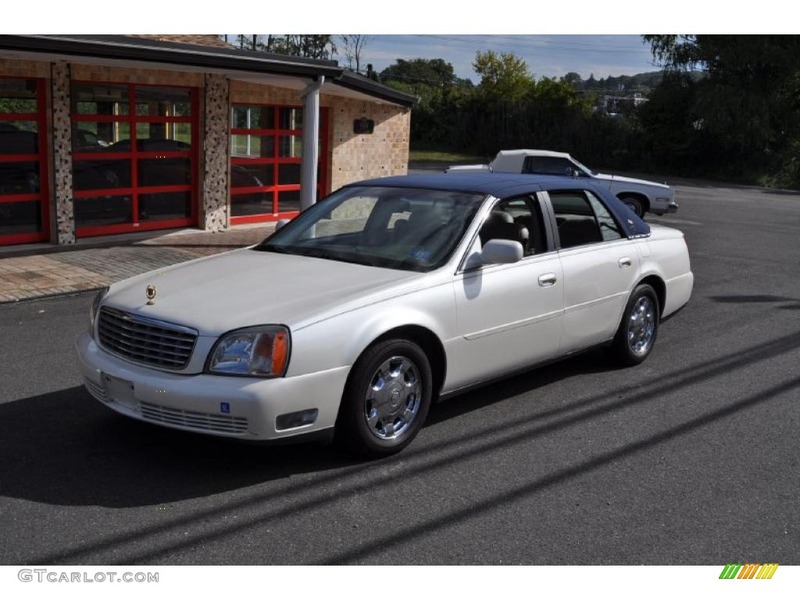 2002 CADILLAC DTS VINTAGE GOLD ADDITION, 46,000 MILE CAR WELL MAINTAINED. GREAT DRIVER. 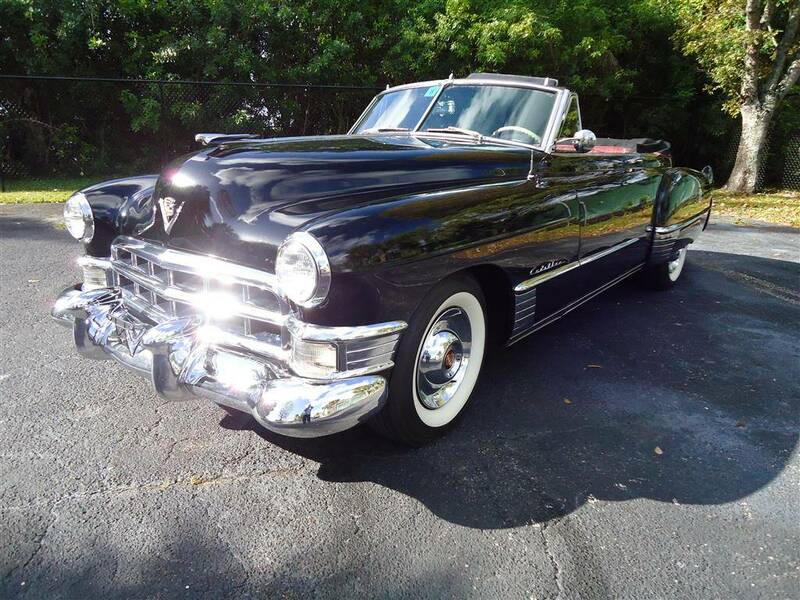 1954 CADILLAC 4 DOOR ACCORDING TO ITS DOCUMENTED TITLE, THIS 1954 CADILLAC HAS JUST 50K ACTUAL MILES. 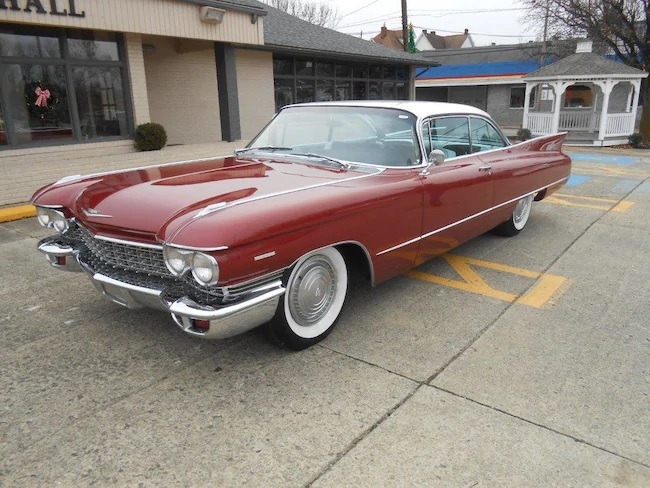 THIS BEAUTY FEATURES THE ORIGINAL INTERIOR AND FACTORY AIR CONDITIONING. 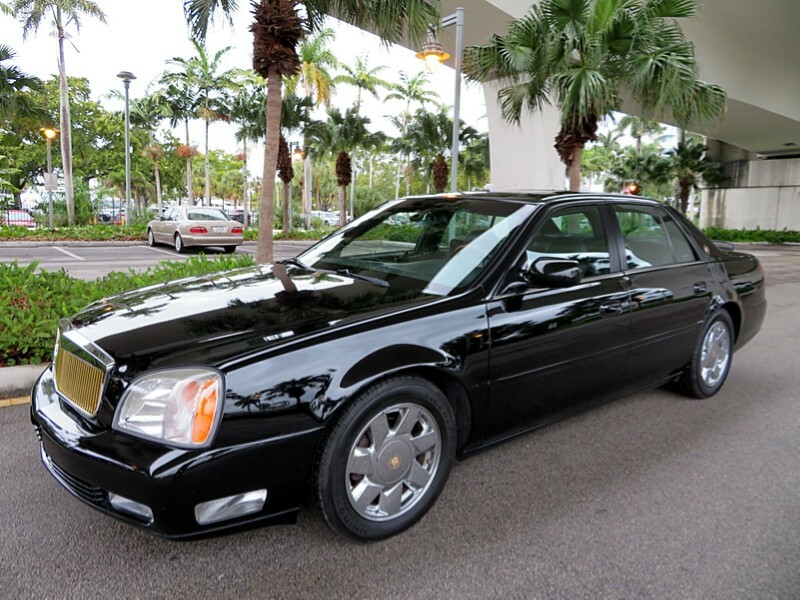 2001 CADILLAC DTS, BLACK WITH BLACK LEATHER AND ZEBRANO WOOD TRIM. 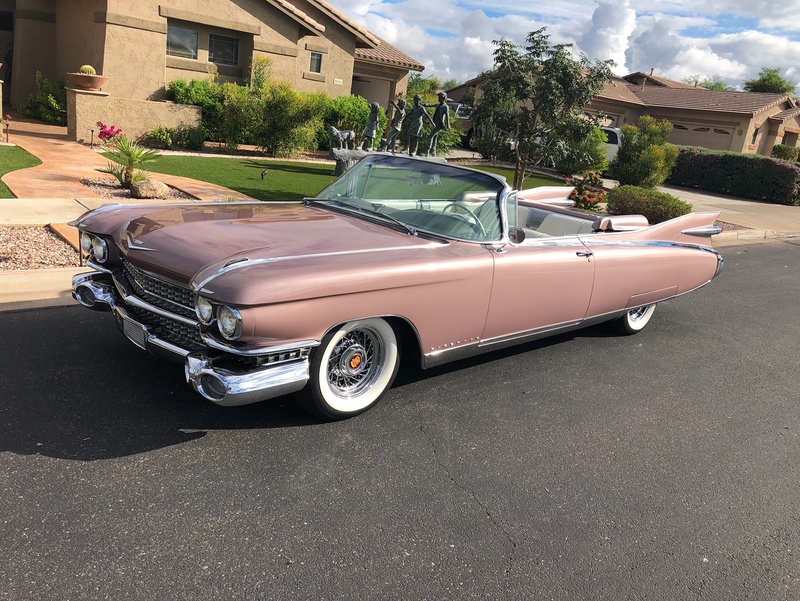 ONLY 63,000 MILES, DUE TO AGE TITLE SAYS EXEMPT BEAUTIFUL CONDITION, FEATURES A 300HP NORTHSTAR V8, BOSE PREMIUM SOUND SYSTEM, 17" CHROME ALLOY WHEELS, POWER SUNROOF. 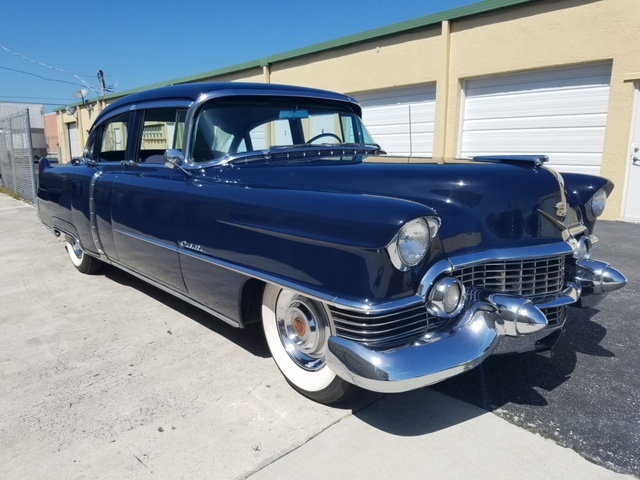 RESTYLED BY ROMAN CHARIOT TO INCLUDE: E&G CLASSIC GRILLE CHROME/GOLD, GOLD CADILLAC EMBLEMS, TRUNK LUGGAGE RACK AND ROMAN CHARIOT EMBLEM. 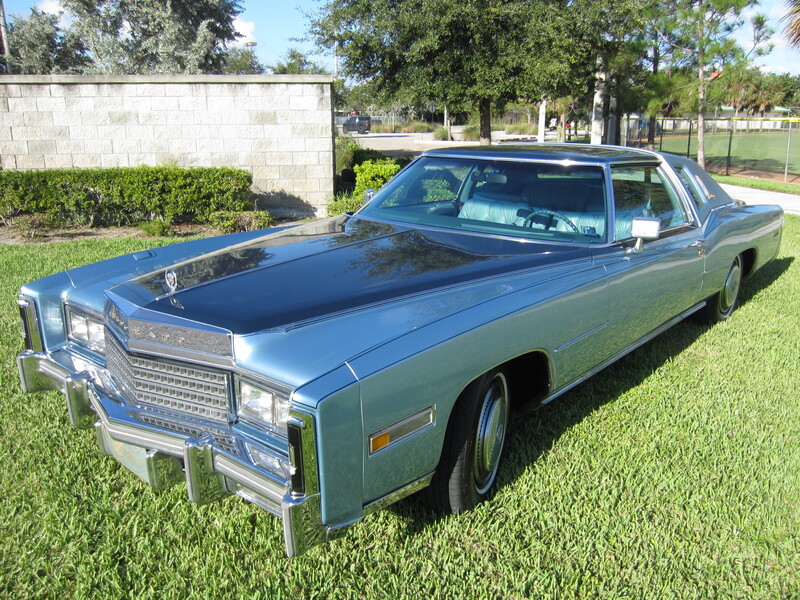 1979 CADILLAC DEVILLE CONVERTIBLE. 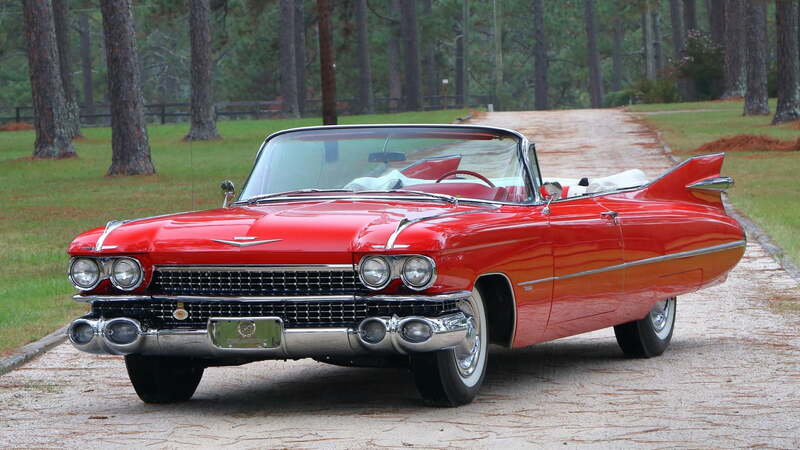 THE LARGE, 6 PASSENGER CONVERTIBLES ARE MAKING A RESURGENCE BECAUSE THEY ARE SUCH GREAT VALUES! 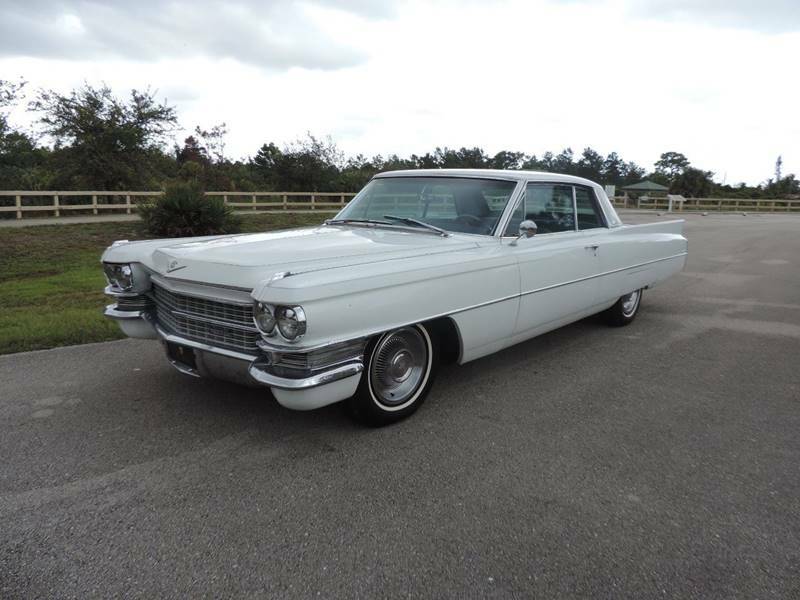 LIGHT COSMETIC RESTORATION ON MINT CAR, 472 CI V8, PS, PB, PW, FACTORY AIR CONDITIONING. 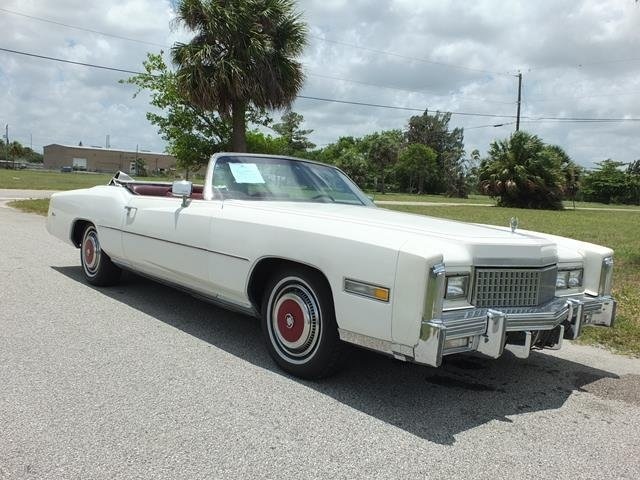 1976 CADILLAC ELDORADO IN CELEBRATION OF OUR NATIONS 200TH BIRTHDAY, CADILLAC DESIGNATED THE FINAL 200 ELDORADO CONVERTIBLES TO BE IDENTICALLY EQUIPPED TRIPLE WHITE WITH RED AND BLUE PINSTRIPES, RED PIPING ON THE WHITE LEATHER SEATS, COLOR KEYED WHITE HUBCAPS AND A SPECIAL # 198TH OF 200 BICENTENNIALS BUILT. 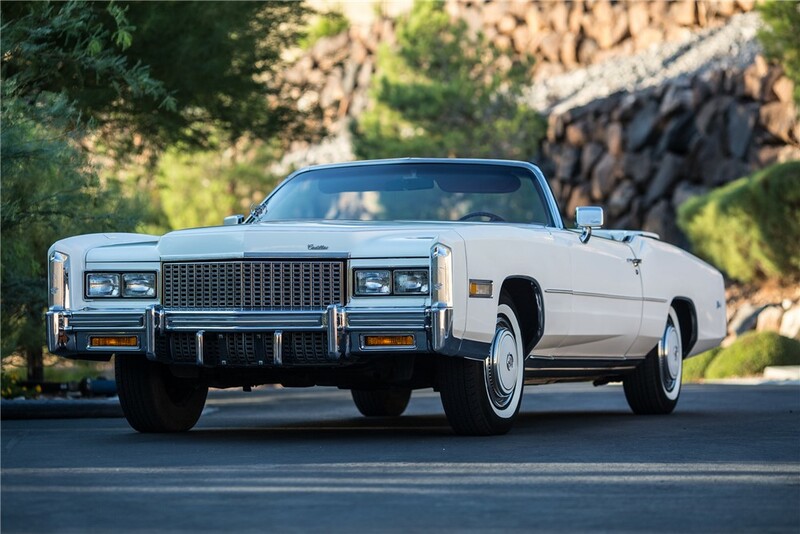 CADILLAC STILL OWNS #200 MAKING THIS ELDORADO CONVERTIBLE THE SECOND TO LAST BUILT FOR SALE TO THE PUBLIC. THE CAR HAS 33,000 MILES AND IS IN OUTSTANDING CONDITION. THE ORIGINAL OWNERS MANUAL AND PARADE BOOT ARE INCLUDED. 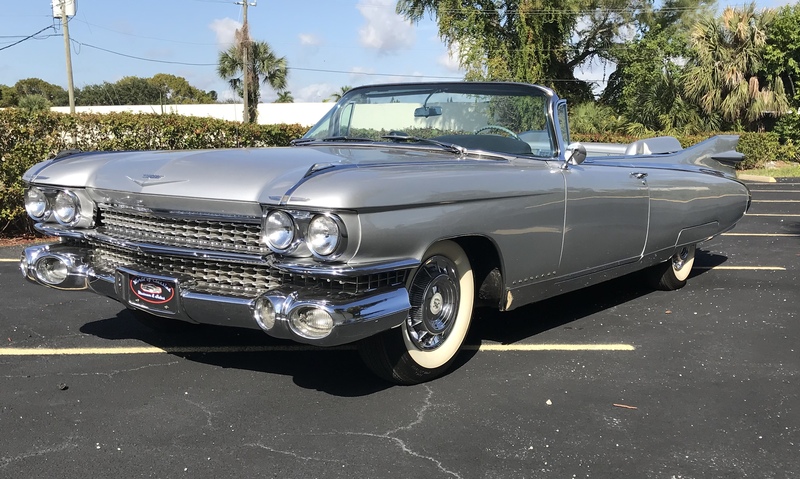 1961 CADILLAC ELDORADO CONVERTIBLE THIS BEAUTIFUL CADILLAC IS FINISHED IN THE HIGHLY DESIRABLE COLOR COMBINATION OF TRIPLE WHITE AND COMES FROM A LONG TERM PRIVATE OWNERSHIP. 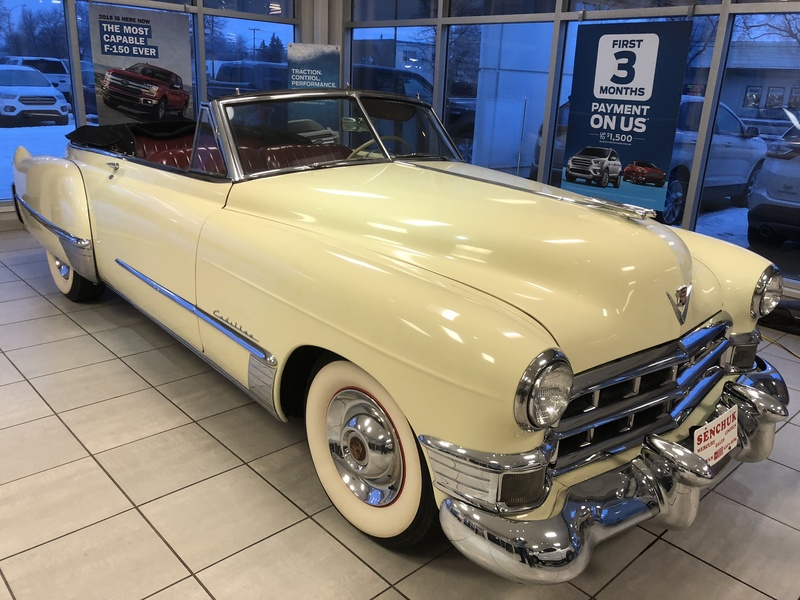 IT IS EQUIPPED WITH THE 390 CUBIC INCH OHV V8 WITH 325 HP ENGINE, THREE SPEED HYDRA-MATIC AUTOMATIC TRANSMISSION, INDEPENDENT FRONT SUSPENSION WITH COIL SPRINGS AND REAR AXLES WITH LEAF SPRING SUSPENSION. 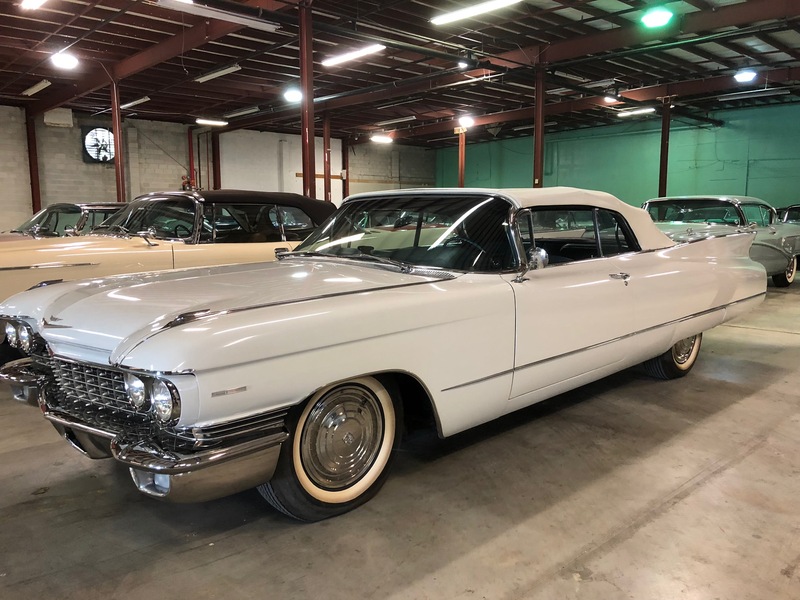 OPTIONS INCLUDE AIR CONDITIONING, POWER WINDOWS, POWER STEERING, POWER BRAKES AND THE AUTRONIC EYE THAT AUTOMATICALLY DIMS THE HEADLAMPS TO LOW WHEN TRAFFIC APPROACHES. 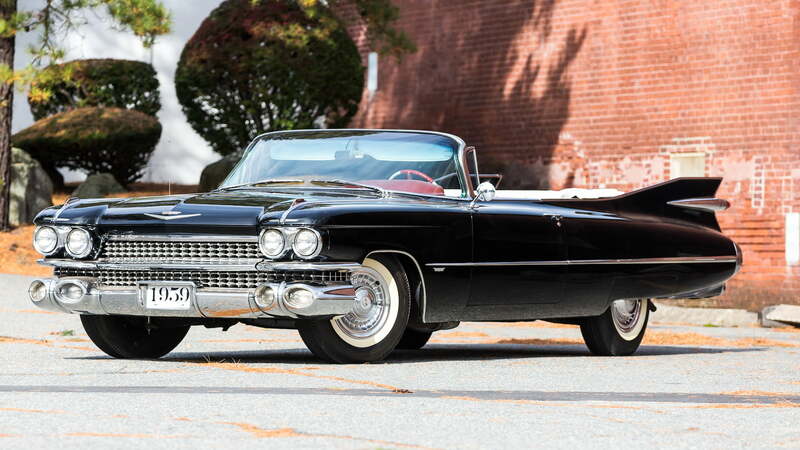 THIS CADILLAC WITH ITS EXCELLENT RESTORATION IS A CAR OF CLASSIC ELEGANCE. 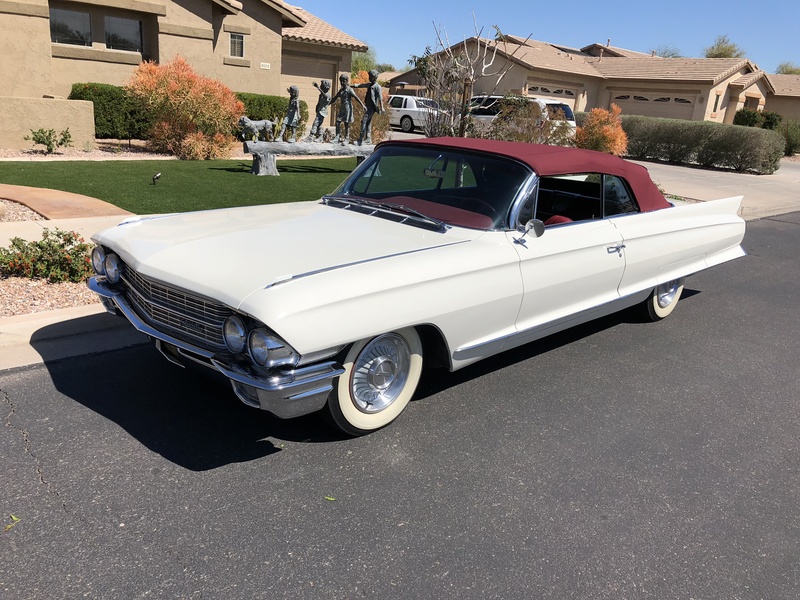 1960 CADILLAC “SERIES 62” 2DR HARDTOP IN EXCELLENT CONDITION FACTORY POMPEIAN RED CAR WITH AN OLYMPIC WHITE TOP AND VERY CLEAN ALL CORRECT BLACK AND WHITE INTERIOR. STRONG RUNNING ORIGINAL NUMBERS MATCHING 390 CI V-8 BACKED BY CORRECT 4-SPEED HYDROMATIC AUTOMATIC TRANSMISSION AND 3.21 RATIO REAR END. 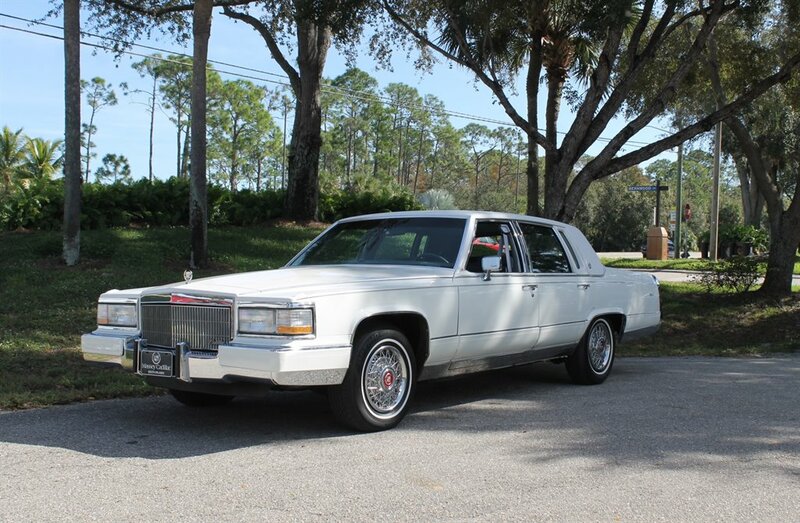 NICELY EQUIPPED WITH RARE FACTORY AIR CONDITIONING, POWER BRAKES, POWER STEERING, POWER SEAT AND POWER WINDOWS. CAR LOOKS AND DRIVES GREAT! 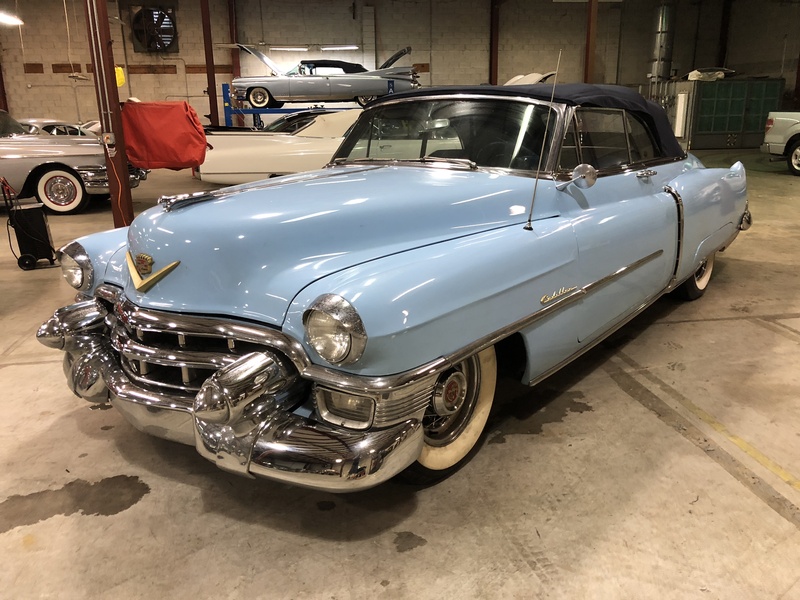 1949 CADILLAC SERIES '62' CONVERTIBLE. PRO CONCOURSE RESTORATION,,,,FIRST YEAR FOR THE "V*8" 'HIGH COMPRESSION OVERHEAD VALVE V-8 160 HP ENGINE ! !HAS THE HYDROMATIC TRANSMISSION & ALL FACTORY POWER OPTIONS !CORRECT BLACK WITH RED INTERIOR ON A VERY STRAIGHT SOLID CHOICE ORIGINAL BODY & CAR,CHROME BUMPERS & STAINLESS TRIM,,,WIDE WHITEWALL TIRES & CHROME FACTORY "SOMBRERO" WHEEL COVERS ,,.POWER STEERING---WINDOWS--SEATS AND TOP,,FACTORY::CLOCK, RADIO & HEATER.. RUNS & DRIVES EXCELLENT !! 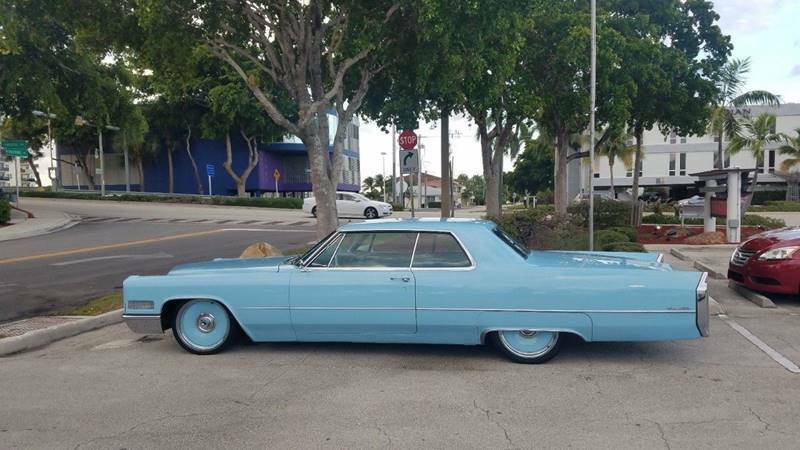 SELLING "NO RESERVE","""TO THE HIGHEST BIDDER FEBRUARY 16, 2019 AT 2:00 P.M""""". 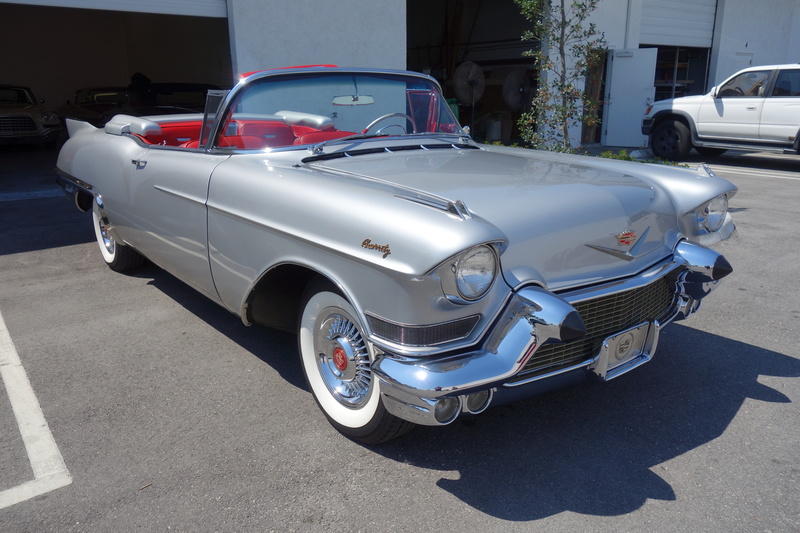 1957 CADILLAC ELDORADO BIARRITZ CONVERTIBLE,1 OF ONLY 1800 PRODUCED FINISHED IN STARLIGHT METALLIC WITH RED LEATHER INTERIOR, BLACK HARTZ CLOTH CV TOP, PROFESSIONAL CONCOURSE RESTORATION, ORIGINAL SABRE WHEELS, FACTORY 365 V8 WITH DUAL 4BBL CARBS, SERVICE RECORDS INCLUDED. ONE OF ONLY 1800 PRODUCED. 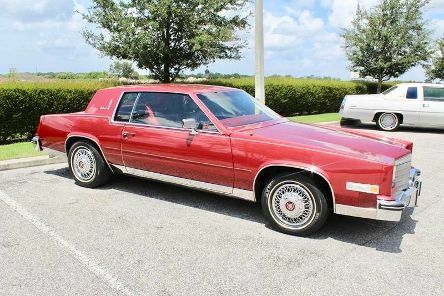 MUSEUM LIQUIDATION.,,,,THIS IS ONE OF THE RAREST CADILLAC'S BUILT,,,, AND DROP DEAD BREATH TAKING CADILLAC'S BUILT !!!! 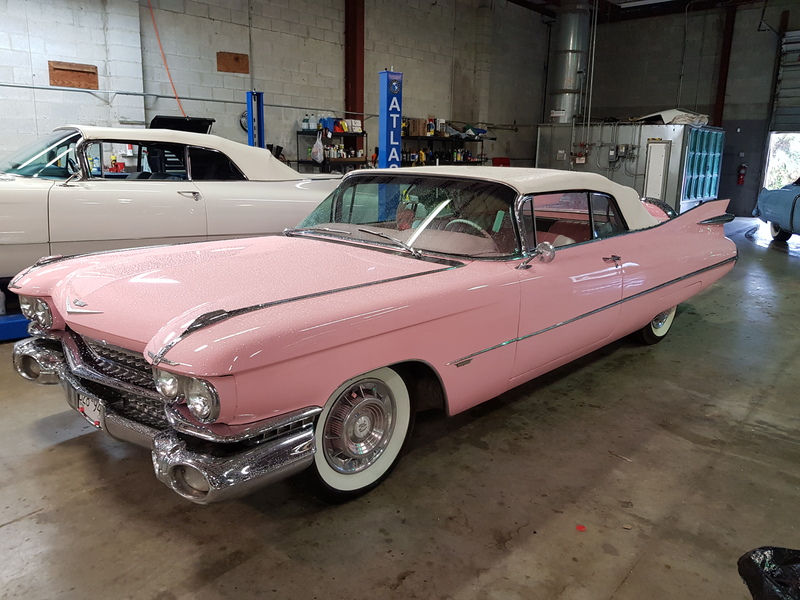 SELLING AT AUCTION ON SATURDAY,,FEB:: ''16''2019,, IF YOU WANT THE VERY BEST 100 PT& SHOW CARS,,,HERE IT IS !!!!!!! 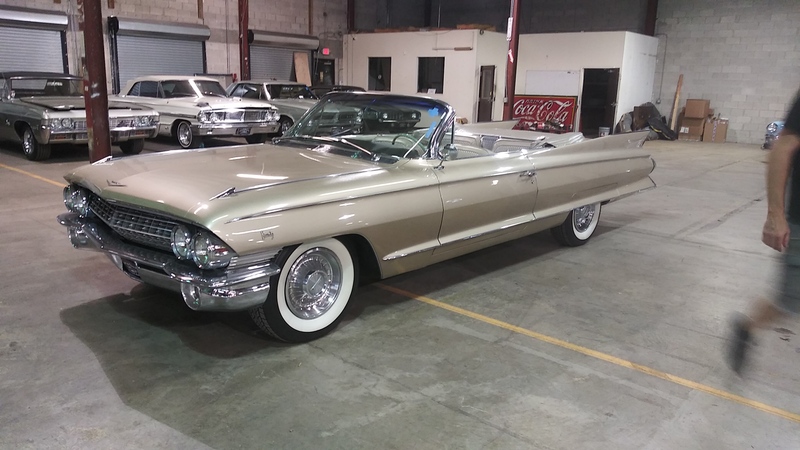 1959 CADILLAC SERIES 62 CONVERTIBLE, RESTORED IN 2014 USING ORIGINAL COMPONENTS WHENEVER POSSIBLE, CALIFORNIA CAR, SHOWN AT THE WINTER PARK CONCOURS D'ELEGANCE IN NOVEMBER 2014, SHOWN AT BOCA RATON CONCOURS D' ELEGANCE 2015, EARNED AACA FIRST SENIOR AWARD IN SPRING 2016, SHOWN AT HILTON HEAD MOTORING FESTIVAL IN NOVEMBER 2016, 2017 PINEHURST CONCOURS AWARD. 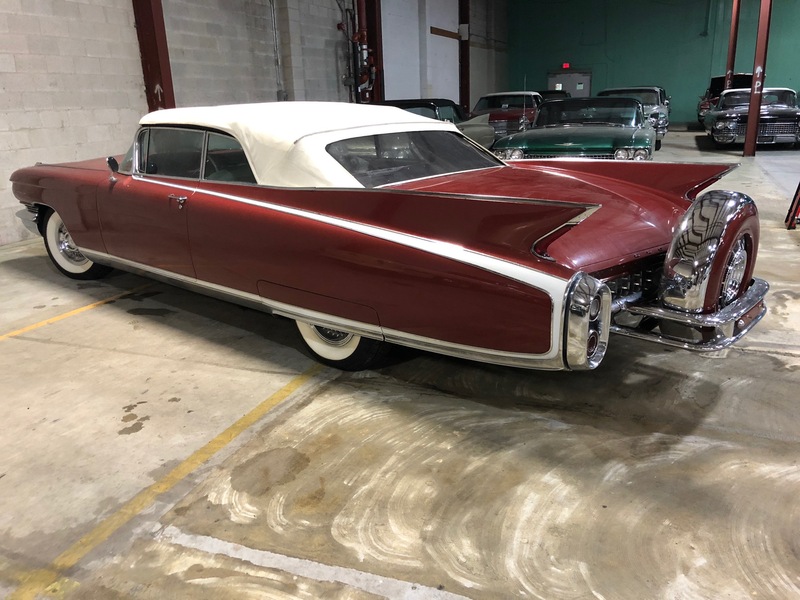 WON BEST IN CLASS FABULOUS FINS OF THE FIFTIES ATLANTA CONCOURS OCTOBER 1, 2017, 390 CI ENGINE, AUTOMATIC TRANSMISSION, POWER STEERING AND BRAKES, SEMINOLE RED WITH RED AND WHITE INTERIOR, POWER WINDOWS AND SEAT, HEAT AND DEFROST, PUSH BUTTON RADIO, IN-DASH CLOCK, WHITEWALL TIRES, FULL SIZE WHEEL COVERS, IF YOU WANT THE BEST OF THE BEST, HERE IS YOUR CHANCE TO BUY IT!!! 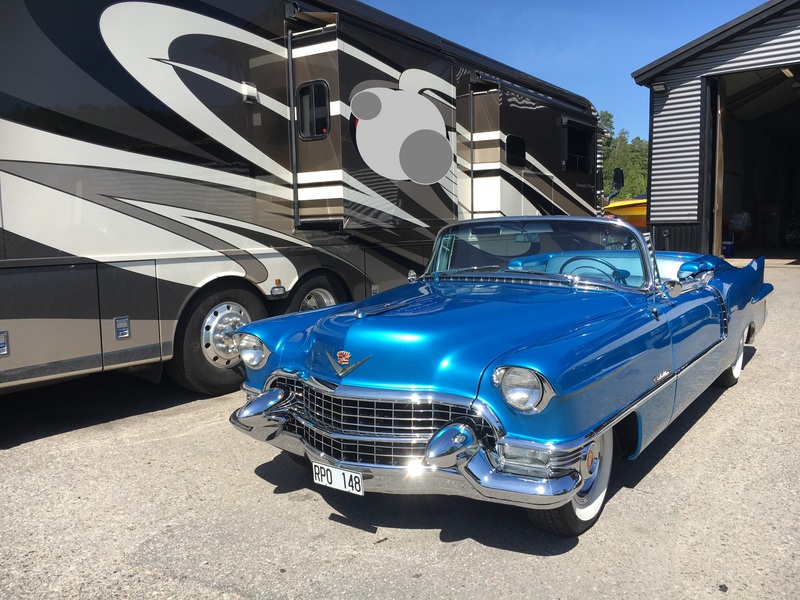 1959 CADILLAC SERIES 62 CV, PRO RESTORATION, ESTATE CAR. 390/345 HP V-8 ENGINE, 4-BARREL CARBURETOR, HYDRA-MATIC TRANSMISSION, INDEPENDENT FRONT SUSPENSION WITH COIL SPRINGS, LIVE REAR AXLE, POWER STEERING, 4-WHEEL POWER HYDRAULIC DRUM BRAKES, BLACK WITH RED AND WHITE INTERIOR, LEATHER UPHOLSTERY, TWO-WAY POWER SEAT, POWER WINDOWS, EZ-EYE GLASS, FENDER SKIRTS FULL SIZE WHEEL COVERS, WHITEWALL TIRES. 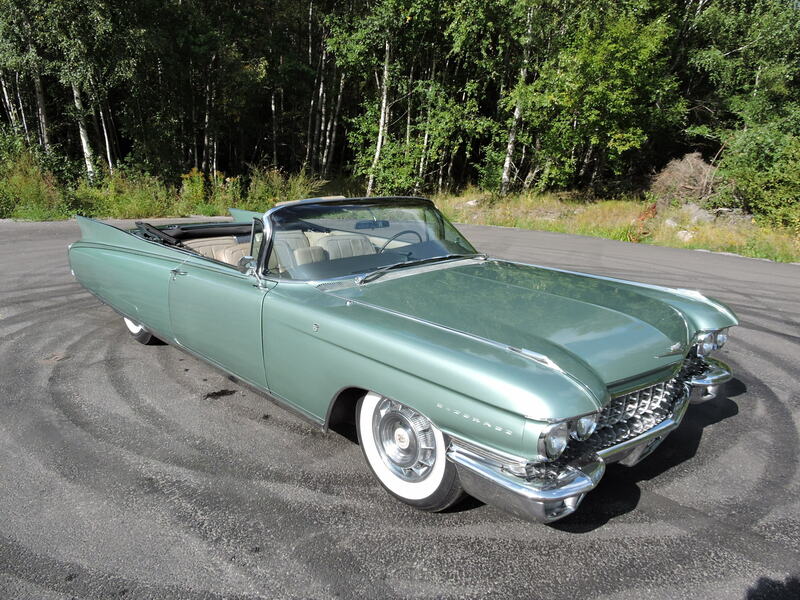 1959 CADILLAC FLEETWOOD 4DR HT,CADILLAC INTRODUCED AN ICON THAT THE WORLD WOULD NEVER FORGET FOR THE 1959 MODEL YEAR. 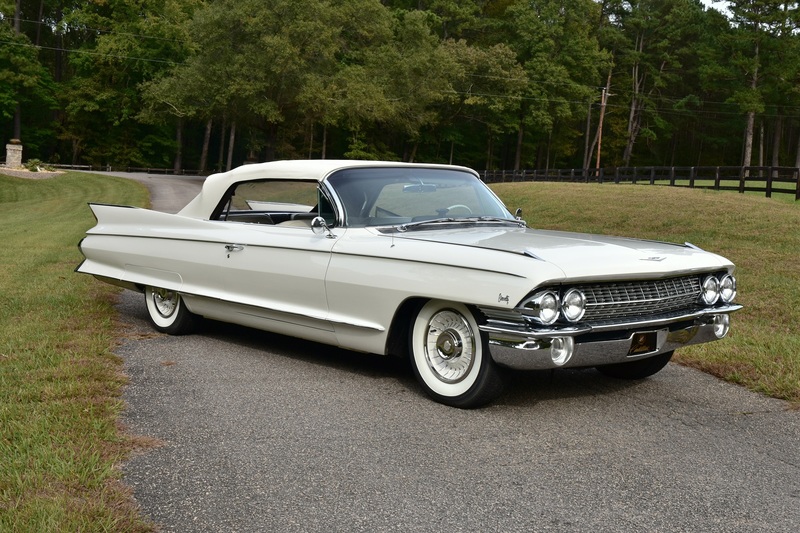 THOSE FABULOUS TAIL FINS TOOK THE WORLD BY STORM. 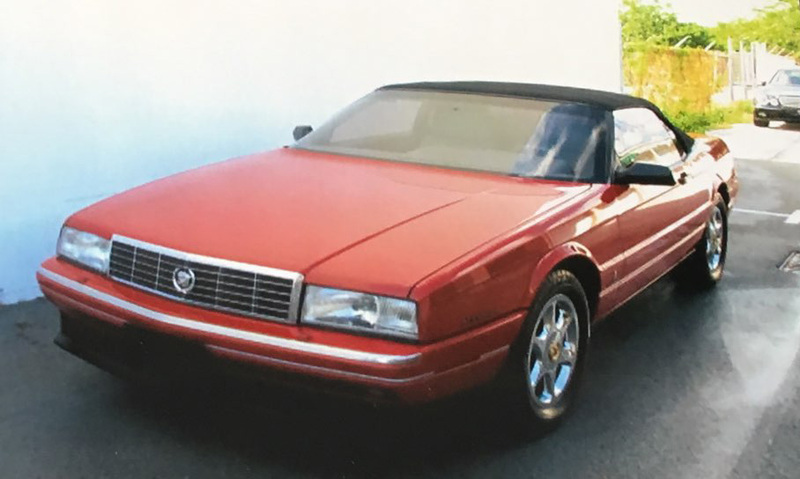 IT WAS THE MOST LUXURIOUS OWNER-DRIVEN CADILLAC SEDAN. 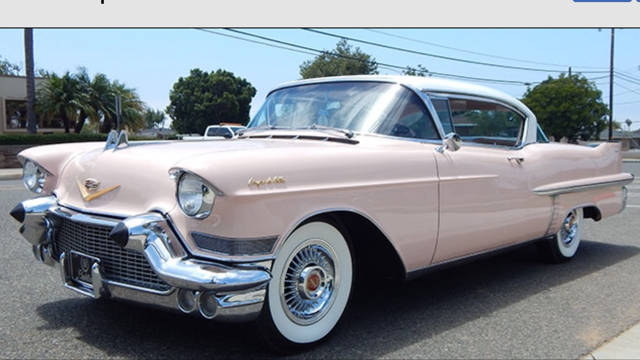 THE 1959 FLEETWOOD SERIES SIXTY-SPECIAL WAS THE ONLY NON-LIMOUSINE MADE BY FLEETWOOD. 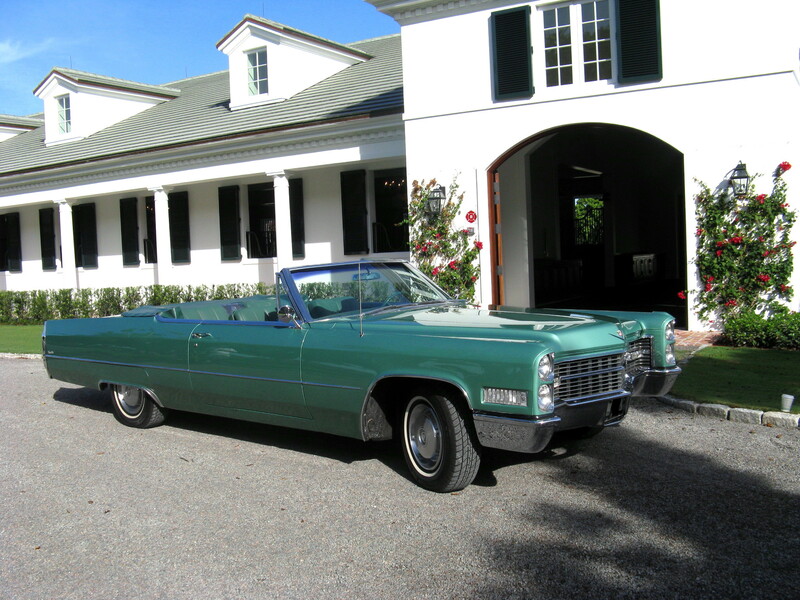 A FLEETWOOD-BODIED CADILLAC WAS AN EXCLUSIVE EPISODE IN THE CONTINUING SAGA OF “AS THE STANDARD OF THE WORLD TURNS. 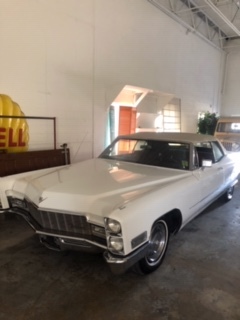 POWER STEERING, POWER BRAKES, POWER WINDOWS , POWER SEATS, POWER VENT WINDOWS, CRUISE CONTROL, ECTRONICAL CENTRAL LOCK, ENGINE: 390 CUI WITH A 4 BBL CARTER PRODUCING 325HP. 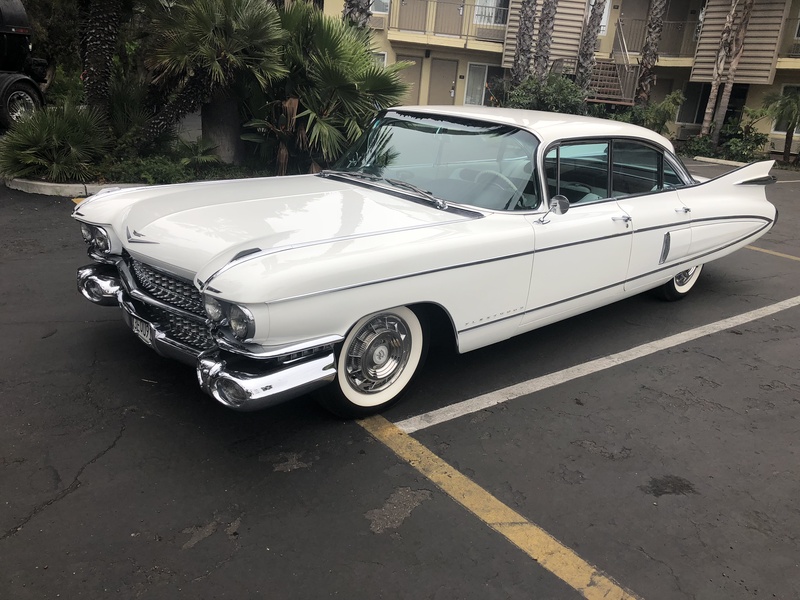 1960 CADILLAC BIARRITZ CV, POWER SEATS, PS, PB, AC, AUTO TRONIC EYE, CRUISE CONTROL, PWINDOWS, POWER LOCKS,POWER TRUNK AND VENTS, FOGLIGHTS WHITEWALL TRIES, 4 SPEED HYDRAMATIC, 33500 ORIGINAL MILE CAR. 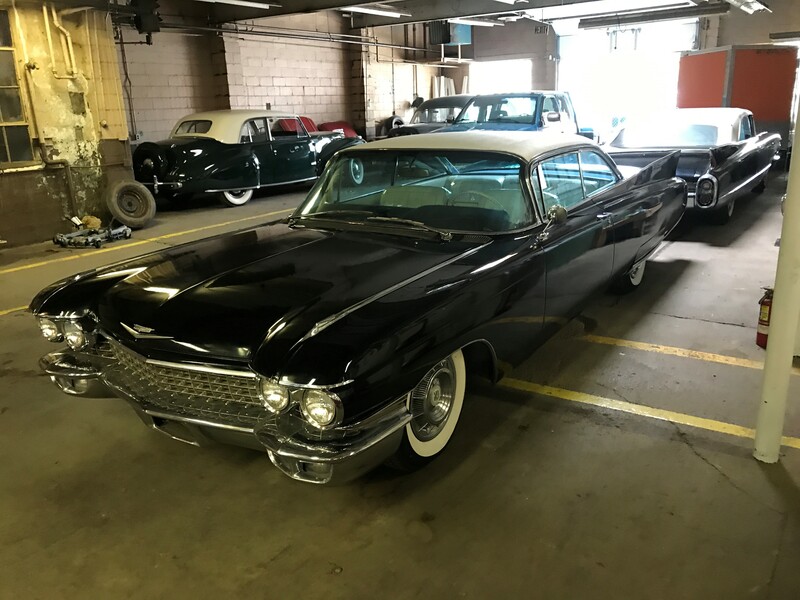 1961 CADILLAC BIARRITZ CV, COMPLETE CONCOURSE RESTORATION, NO EXPENSE SPARED ON THIS CLASSIC SURVIVOR. 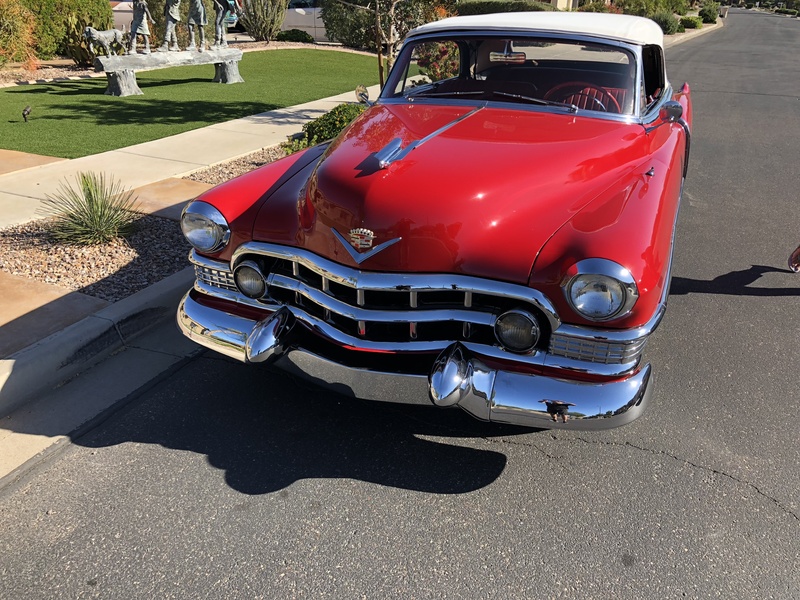 1960 CADILLAC SERIES 62 CV - KANSKE -OF ART WITH GREAT BRIGHT COLOR COMBINATION - TOTAL FRAME OFF RESTORATION AND BEEN DRIVEN LESS THAN 150 MILES SINCE THEN -POWER STEERING, POWER BRAKES, POWER WINDOWS, POWER SEATS, AIR CONDITION, CRUISE CONTROL, AUTRONIC EYE, POWER ANTENNA, AM "FM RADIO. 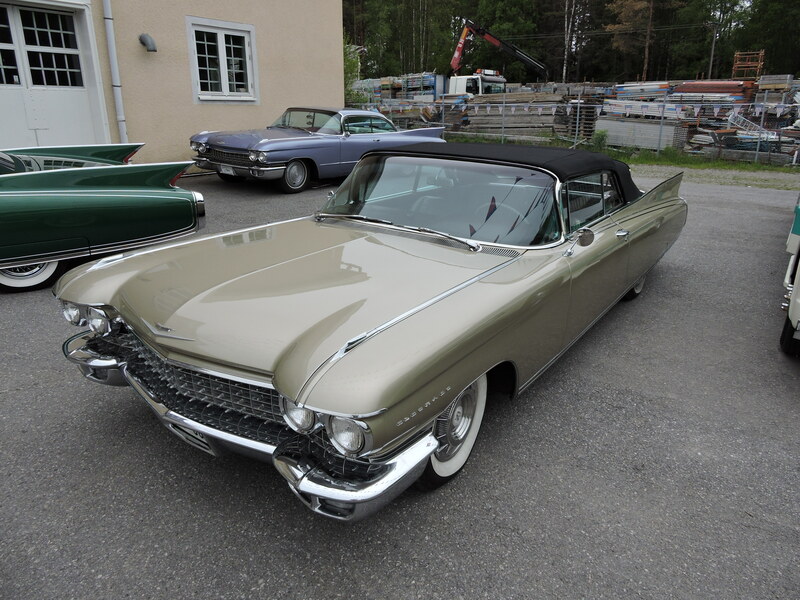 1960 CADILLAC ELDORADO SEVILLE 2DR HT A TRUE LEGEND AMONG COUPES FROM THE 60´S. ONLY 1075 CARS PRODUCED-HIGH END MODEL. TEXTURED VINYL TOP AND FEATURES THE ELDORADO EQUIPMENT POWER BRAKES, POWER STEERING, AUTOMATIC TRANSMISSION, DUAL BACK-UP LAMPS, WINDSHIELD WIPERS, TWO-SPEED WIPERS, OUTSIDE REARVIEW MIRROR, VANITY MIRROR, POWER WINDOWS, SIX-WAY POWER SEATS, HEATER, FOG LAMPS, 390 CUI ELDORADO ENGINE 345 HORSEPOWER WITH 3 X 2 BARREL CARBS, REMOTE CONTROL TRUNK LOCK, SOFTCLOSE TRUNK, RADIO WITH ANTENNA AND REAR SPEAKER, POWER VENT WINDOWS, AIR SUSPENSION, ELECTRIC DOOR LOCKS, AIR CONDITION. 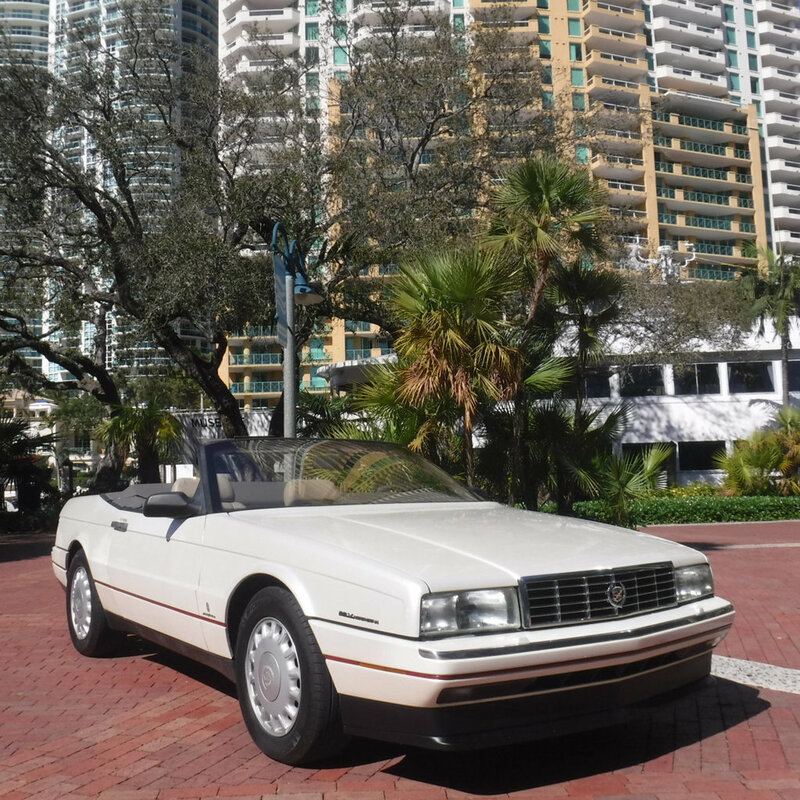 GORGEOUS 1993 DIAMOND WHITE PEARL CADILLAC ALLANTE CONVERTIBLE THIS WAS THE LAST YEAR THIS CADILLAC WAS PRODUCED, AND IT WAS THE ONLY YEAR IT CAME WITH THE POWERFUL AND RELIABLE NORTHSTAR V8. 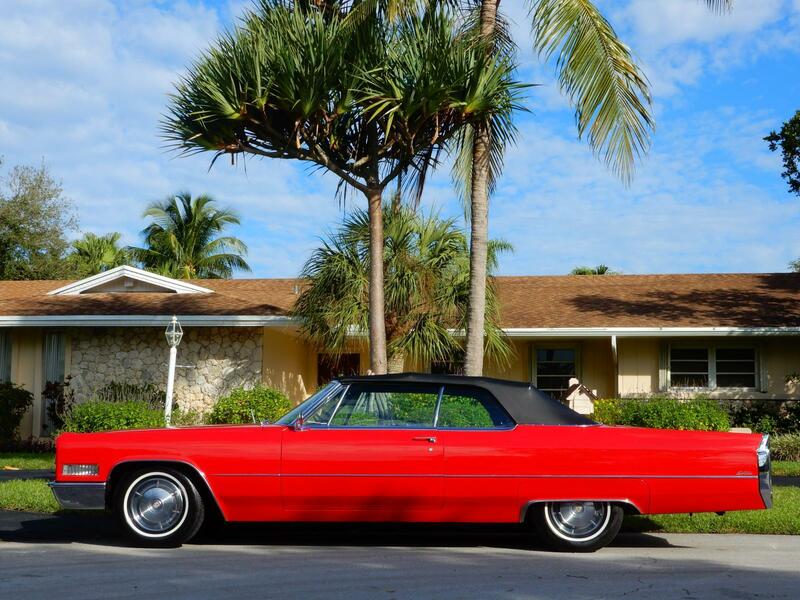 THIS IS A CARFAX CERTIFIED CADILLAC WITH NO REPORTED ACCIDENTS OR TITLE PROBLEMS OF AND KIND. 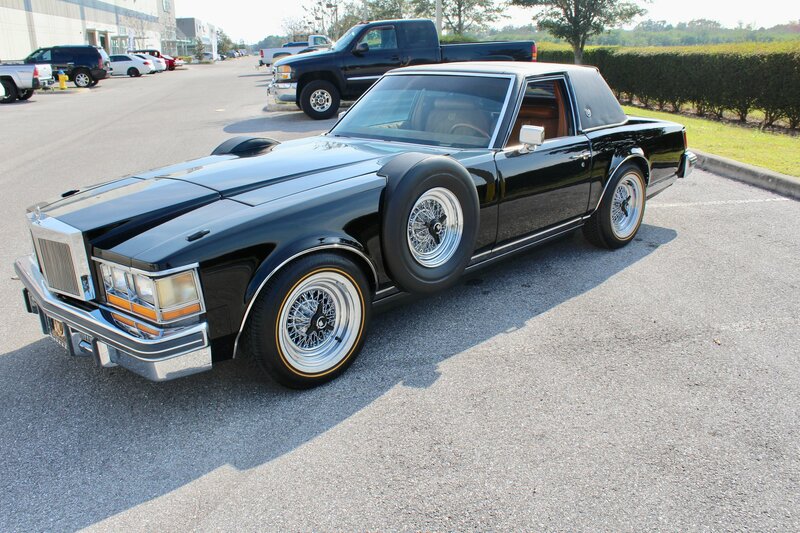 YOU CAN BID AND BUY WITH ABSOLUTE CONFIDENCE BECAUSE IT RUNS AND DRIVES AS GOOD AS IT LOOKS. ALL THE MANY OPTIONS WORK AS THEY SHOULD, AND THE AC IS ICE COLD. THERE ARE NO LIGHTS ON THE DASHBOARD AND THE 4 MATCHING MICHELIN TIRES ARE ALMOST BRAND NEW. THIS ALLANTE EVEN HAS THE OPTIONAL DIGITAL DASHBOARD THAT LOOKS FANTASTIC AT NIGHT. 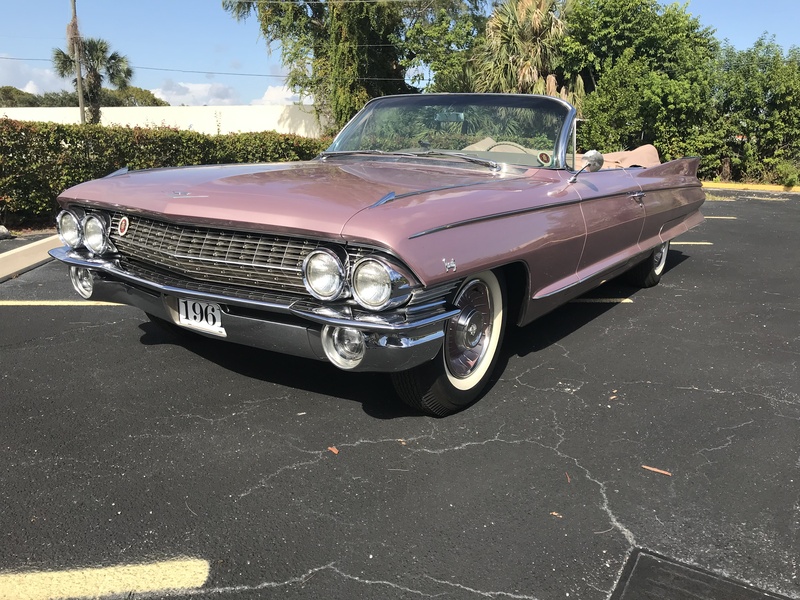 ALL THE ORIGINAL OWNER MANUALS AS WELL AS THE ORIGINAL WINDOW STICKER SHOWING AND MSRP OF $62,870 ARE INCLUDED IN THE SALE.